Leon’s Desk is a loot container and a puzzle in Resident Evil 2 Remake. It’s locked with a dial lock, one of those round padlocks which only open once you enter the correct combination of letters. It’s located in the west office, at the police station, and the code is hidden nearby. It’s probably going to be the first puzzle of this kind you encounter, so you might need some help figuring it out. Don’t worry – that’s what our Resident Evil 2 Leon’s desk code guide is for. 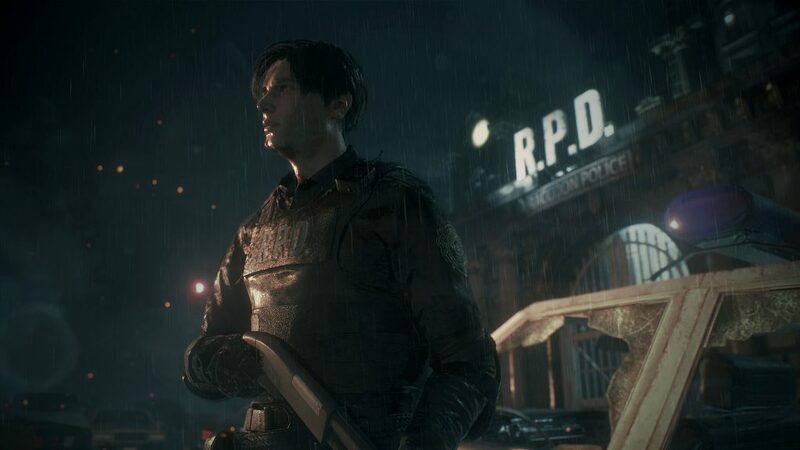 How to unlock Leon’s desk in RE2 Remake? When you get to the desk for the first time (it’s in the east part of the West Office), you’ll find a letter. It’ll instruct you to open the desk drawer by entering the first letters of the first names of Leon’s colleagues into the two dial locks. The lock on the left is supposed to take the letters from the row of desks on the left, and the combination you want to input is NED. The solution for the lock on the right lies in the row of desks on the right. There’s a dead guy there that will turn not-dead when you approach, so be careful. His nameplate isn’t on the desk – instead, you’ll find it on the floor by the chair. The combination for the right lock is MRG. Once you’ve entered them both, you’ll open the desk and gain access to an ammo cache. What’s really interesting here is that this is one of the only puzzles with a solution that doesn’t change depending on who you play as (Leon or Claire), or which playthrough you’re on (A story or B story). The answer will always be NED-MRG. It might actually be the only one.